This is the big one that many C4D users have been waiting for, and we are glad to say that the port is done, carrying across all the features of the Windows version. One of the most-loved features from Corona 1.5 is now in A6! The Interactive LightMix lets you adjust color and intensity of light sources during or after rendering. This is ideal for making subtle adjustments to the warmth, color or brightness of Corona Lights or light emitting materials, and can also be used for more extreme changes like turning day into night, all without re-rendering! 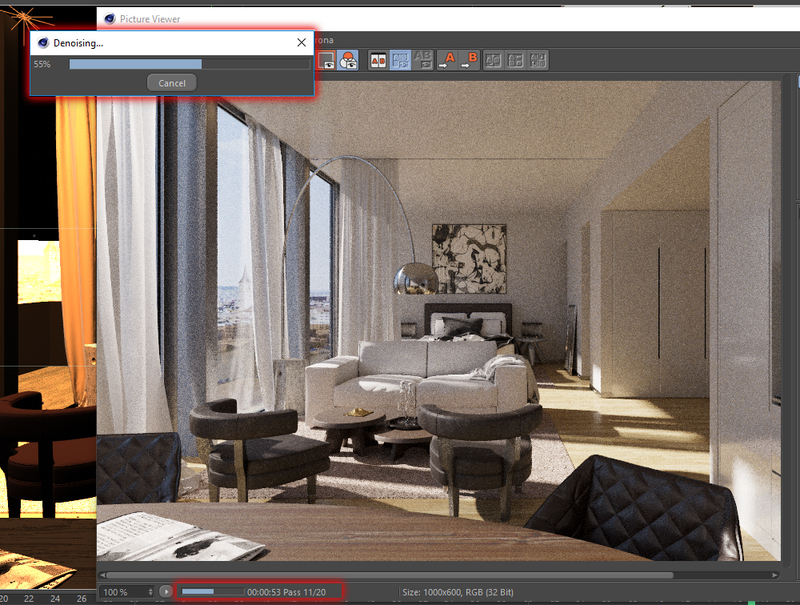 As well as handling CoronaLights and materials that emit light, it also works with the CoronaSun and with environment lighting from CoronaSky or HDRI images, so that you can control all aspects of lighting without having to re-render. Denoising can be applied to each LightSelect pass individually. If you enable this for all LightSelect passes, then your final LightMix pass will be denoised in full, as shown in the example above. Alternatively, you can enable Denoising only for particular LightSelect passes if you want to save a little on render times and memory usage. 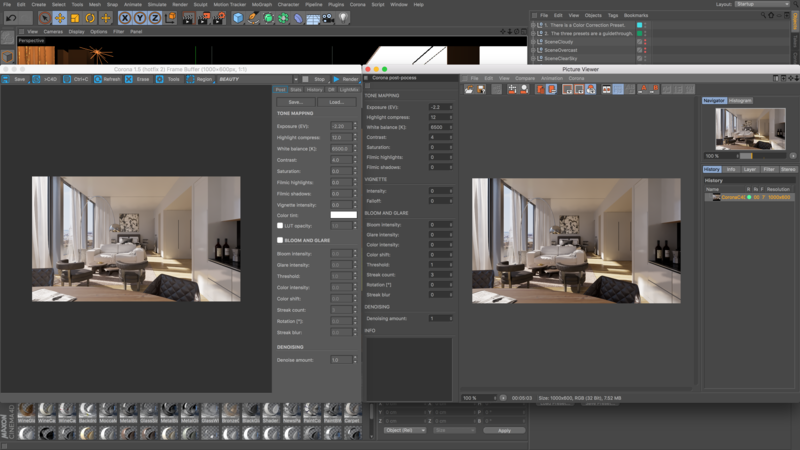 Gives you control over highlights and shadows using the new filmic tone mapping. This can give more pleasing results with more ease than adjusting with the previous tools alone. Exposure, White Balance and Contrast still work alongside the Filmic highlights and shadows options. 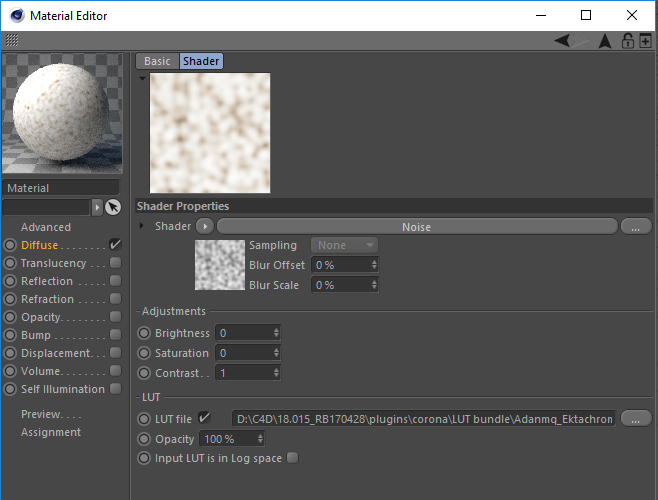 You can now apply a LUT (Look-Up Table) to your rendered image. This supports both .cube and .3dl format, and allows you to quickly apply the “look” of particular film stock or camera model to your render. Corona Renderer 1.5 comes with 77 LUTs bundled in the installer – we’d like to thank Adan Martin for providing his LUTs, Ground Control for designing 10 LUTs specially for Corona, and Martin Nabelek for providing the LUTs he used in the making of award-winning short film OFF. Adds a circular vignette to the rendered image. Support was added for the latest release of C4D. The GGX BRDF was modified in the CoronaMtl to offer the full glossiness range, bringing it in line with emerging industry standards and removing any physically incorrect dark or light “halo” at the edges of rough objects. This means it now gives expected results for all Glossiness and Fresnel values. For compatibility, any existing scenes will load with materials that have the new PBR mode disabled, to ensure they render without any changes to the look of the materials. Below, you can see a comparison between PBR mode enabled and disabled, with a low glossiness material (Glossiness of 0.3) applied to the Shaderball from Mastering CGI. Note in particular the brightened edges when PBR mode is not enabled. As well as making the behavior of materials more predictable and expected for those familiar with other software, this also gives full compatibility with materials imported from third-party software such as Allegorithmic’s Substance tools, and Quixel’s Megascans. You can now render directly to the Corona Virtual Frame Buffer (VFB) without displaying the picture viewer, and stability has been improved. The pre-processing of displacement has been improved – now calculating displacement is 8 times faster or more on average, but we did see speed increases of up to 40x! You can control all the post-processing features listed earlier from either the Corona VFB, or from the new panel added for the native Picture Viewer. Both will reflect changes in the other. You can continue to adjust the post-processing settings in the native Picture Viewer once rendering is complete, and see the changes in real-time. Now stopping rendering will still allow Denoising to complete. This map (found under Textures -> Corona) lets you apply color adjustments to a map or shader, such as adjusting brightness, contrast or saturation, or applying a LUT to the map or shader. Updated installer: (same installer as for 3ds Max). Many Corona features and menus have been moved to the top level, so that they are more easily found and accessed. If you prefer a different set up, then menus can always be edited using C4D’s “Customize menus…” feature so that you can create the set up you prefer! This makes it easier to access – do note that you can still override this global value for each material if required. Emission slot in Corona Standard material replaced with self-illumination: for key light sources in the scene, use the Corona LightMtl instead. LOTS of other minor modifications to improve ease of use and workflow! With Alpha 6 released, it’s time to focus on Alpha 7! The main focus for A7 will be the rewriting of Interactive Rendering, Team Rendering and Motion Blur code so that we can easily fix all of their problems and instabilities, and fix all bugs reported so far. Until now we’ve been sending out emails when daily builds are released, but from A7 onward we’ll be using the same process as the 3ds Max version, with the announcements of new daily builds happening on our forums. If you want to keep up with each daily build, please be sure to check the forums regularly! That’s it for this release! We’d like to thank all of you for testing Corona for C4D and letting us know about any problems you encountered and features that you wanted to request – you are all a vital part of making Corona for C4D the best it can be! Great ! Will we see the IPR one day ? 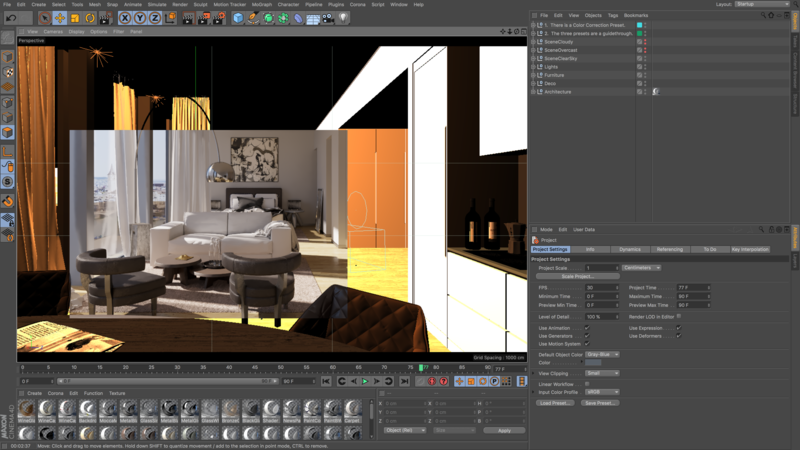 You can use C4D’s Interactive render mate, corona got the best integration for native C4D users. Hi, there isn’t really reliable IR in Corona for C4D yet. It will be however implemented really soon. Congrats guys and happy Christmas! Will the take system work with the next release? Can you please add a node-based material editor? i literally can’t live without that. will it be a node base material editor for conona for C4d ? hey there, cannot find the mac version anymore? is it still available? It’s not the version for Mac that isn’t available, it’s the Alpha version that isn’t available, because the final release is out 🙂 See https://corona-renderer.com/blog/corona-renderer-3-for-cinema-4d-released/ for details – Mac and Windows version available of that, with 45 day free trial. Thanks!